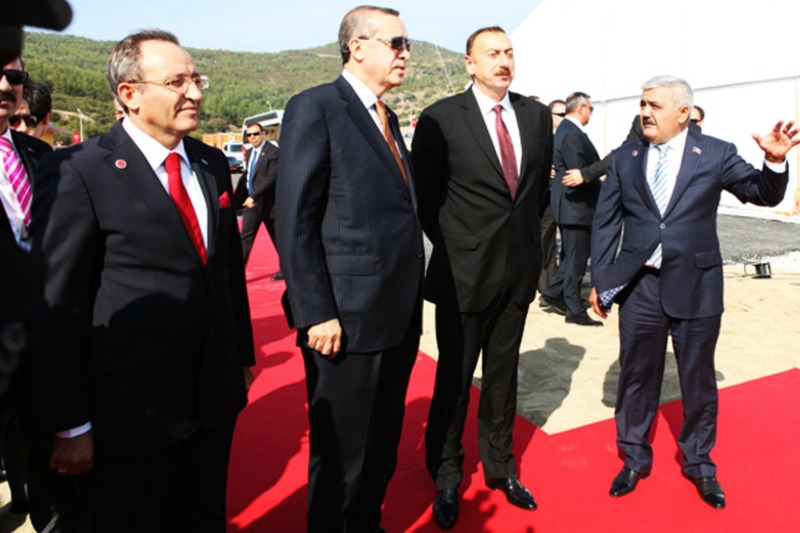 Turkish President Recep Tayyip Erdo?an and Azerbaijani counterpart Ilham Aliyev will attend the ceremony marking the start of work on the $10 billion pipeline in Turkey’s Kars region, part of a drive aimed at reducing dependence on Russian gas. The 1,850 kilometre Trans-Anatolian Natural Gas Pipeline (TANAP) pipeline, which is due to be completed in 2018, will link the existing South Caucasus Pipeline (SCP) which connects Turkey to the Azerbaijani gas fields in the Caspian Sea, through Georgia. The Turkish Stream pipeline is aimed at replacing Russia’s South Stream project for pumping gas to Europe avoiding Ukraine, which President Vladimir Putin dramatically cancelled last year, citing a lack of cooperation from the EU. Russia has expressed doubts about the TANAP project with its envoy to the European Union Vladimir Chiz?ov, saying it was “extremely challenging from a technical point of view” and “exorbitantly expensive”. However, Yildiz said that TANAP was not a rival to Turkish Stream, whose final terms are still being negotiated with Russia. The Southern Gas Corridor (SGC) refers to the three pipelines, including TAP, which will bring Azeri gas to the EU. The South Caucasus Pipeline Extension from Shah Deniz via Azerbaijan and Georgia, the TANAP pipeline via Turkey, the TAP pipeline starting from Greece and taking the gas further across Albania and an offshore section in the Adriatic to Italy. The first gas is expected to flow via SGC in 2019-2020. A branch is expected to take Azeri gas from Greece to Bulgaria and further north.